They say that home is where you hang your hat. Well, on our upcoming trip to Philadelphia, Gerry and I will be calling Extended Stay America’s King of Prussia Hotel home, at least for one night. This hotel is located 30 minutes outside of the Philly airport so it will be very convenient for us to stop there when we first fly into the city. 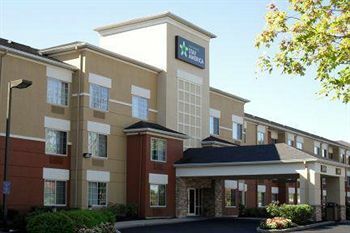 Extended stay hotels are specifically designed for people looking to stay for a longer time though, and feature fully equipped kitchens. For those of you who ever tried to make coffee in a hotel bathroom, you know how great convenience and money saver a fully equipped kitchen can be. They can even provide you with cooking utensils, since traveling with pots and pans may be a little bit...awkward. Free Wi Fi is available in all the rooms and there is even a laundry facility onsite which is truly like bringing all the amenities of home with you when you travel. ( And as a travel blogger, Wi Fi and especially free Wi Fi is imporant!) Some of the other perks offered though are free grab and go breakfast, flat screen television as well as pet friendly rooms, in case you travel with the four legged member of the family. 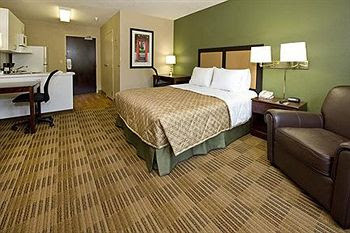 Extended Stay America has over 700 properties so you can certainly find one to wherever your travels take you. The hotels are located around city’s attractions plus you get the comfort of home along with the fun and excitement of being located near the very city that you are currently exploring.